I really love my iPhone but there are times when I can go through a dry period where I think the gadget is getting stale. Oh… but that dang App Store keeps me coming back. Recently I discovered Ocarina developed by Smule. Anyone who has played the Legend of Zelda will fondly remember the angelic sounds of the Ocarina. In my opinon it is probably the best designed application for the iPhone because of it creativity and functionality. Until you try it, you won’t believe how well it works. There is even sheet music for quite a few songs… my favorite being the Godfather theme. Gallup Daily?? No longer the authoritative source!! I never paid much attention to polls, possibly because when I am polled I don’t really put much thought into the questions they are asking and the answers I give. My buddy Gil turned me on to the website and I was instantly hooked. When people actually put money down on an issue you know they have thought it out. Here is a short video on how InTrade works. Posted byshaneschnell October 3, 2008 Posted inUncategorized2 Comments on Gallup Daily?? No longer the authoritative source!! Is Sarah Palin’s Lipliner A Tatoo? It’s sad to say, but that will be the last article I read on that site. 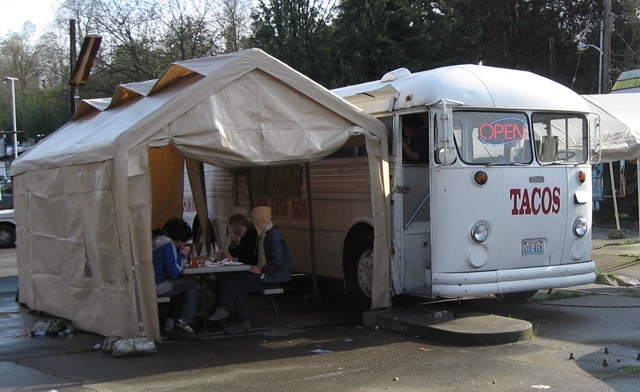 Tonight Kelly and I wanted a quick meal… and is there anything better than Taco Bus??? WordPress released a new iPhone app. Just wanted to test it out. Kelly has a great post over on her blog about my adventure today. We have been thinking about canceling our Comcast TV service lately, but we just haven’t been able to pull the trigger. How did I get to this point? Wanting to be outside more? Sure. Wanting to spend more time with my wife? Sure. But here is how it went down. We have been having a really tough time getting our builder to fulfill our 1 year warranty list. In fact they have lied to me about certain issues, and on one particular issue they just decided they weren’t going to fix… and decided not to tell me. When I asked about it a month later, they said “we decided not to fix it on this date”. GREAT, thanks for telling me. Then the other day I get a call from Countrywide saying we owed something like $48. So, I called and asked what the deal was. Turns out since we pay our mortgage every two weeks as compared to once a month they screwed up what month to apply the payment. They basically said they don’t allow me to pay them more than once a month. Ridiculous. They went on to say that I could sign up for a service to pay them every two weeks. I was thinking, cool… they actually can help me out!! No, no, no. Get this, they charge you $4.00/transaction, that works out to $104/year. THANKS! And that brings me back to Comcast. Today I came home after a frustrating day at work and wanted to just chill out watching ESPN. I turn the TV on, hit “guide” on the remote and start scrolling down. But wait, what is this??? An advertisement built into the guide??? Not just in the corner (which is bad enough), but you actually have to scroll over it. So with all that said, sorry Comcast. You have milked me for long enough, and now you are selling advertisements in my TV guide. Customer Service… is it me or is it really hard to find a company that knows what that actually means and is able to execute it effectively?